Wearable technology can now help detect, manage and mitigate fatigue risk in heavy construction. BBMV applied this technology in two Crossrail projects to evaluate workforce fatigue risk. Results showed that fatigue risk was present, with night-time risk being higher. Using the data provided by the technology, OH&S staff could implement fatigue reduction and intervention strategies that improved worker sleep, with a resultant decrease in on-duty fatigue. A consequence of our 24-hour society is workplace fatigue impairment, which is only expected to increase in scope and severity. 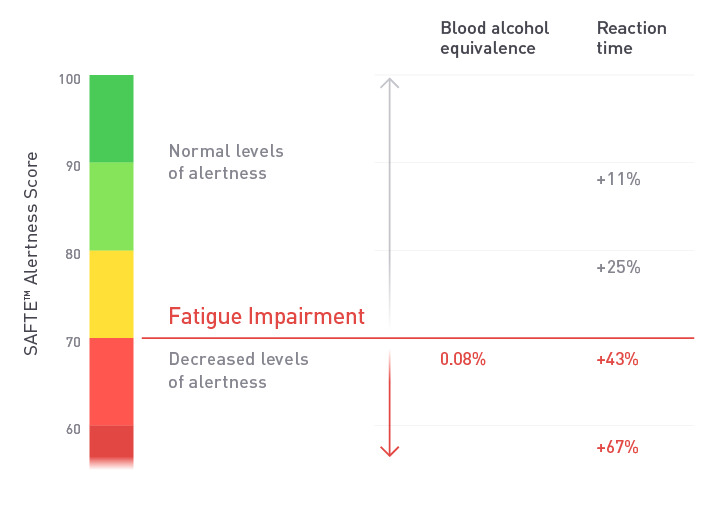 Fatigue has implications for worker safety, health, and productivity, but unlike more commonly understood impairments, such as alcohol and drugs, fatigue has been difficult to mitigate against. New technologies that allow for the detection, measurement and management of fatigue risk, are providing tools to address the problem. While some industries have begun implementing these technologies, they are new to heavy construction. 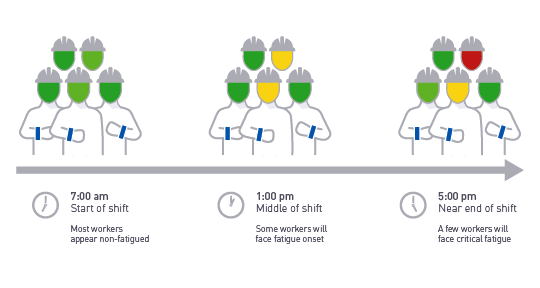 The technology consisted of a wrist-worn device (Readiband™), given to each worker for continuous collection of sleep/wake data. This sleep data was then analysed by the SAFTE™ Fatigue Model; a biomathematical model used to quantify fatigue impairment. The SAFTE Fatigue Model produces an “Alertness Score” – an objective prediction of a worker’s cognitive effectiveness plotted on a 0-100 scale. This score can be compared with blood alcohol impairment and increased reaction times. The Model allows for fatigue evaluation prior to start-of-shift, as well as predicting its onset during the duty-day. On C510/512, front-line OH&S supervisors could look at worker Alertness Scores prior to start-of-shift to identify immediate areas of concern. Workers could also use the mobile app to monitor their own sleep and fatigue each day, and over a 7-day period. Anonymised analysis of fatigue exposure was conducted by Fatigue Science and regularly shared with BBMV management. In the summer of 2017, Readibands were distributed amongst ~120 operatives at BBMV C512. As with C510, a baseline Fatigue Risk Profile was developed during the first 30-days, with fatigue mitigation activities during the final 60-days. Due to workforce composition (consisting in part of sub-contractors), it was deemed operationally impractical to implement Fatigue Intervention strategies, and the focus was placed on Fatigue Reduction. As with C510, on some shifts, high fatigue risk was present in approximately ⅓ of on-duty hours. Similarly, higher levels of fatigue exposure were observed on night shifts. There was greater variance among shift groups, but analysis of aggregate fatigue exposure by shift, allowed leadership to focus Fatigue Reduction efforts where there was the greatest need. Average sleep duration ranged from 5.9 to 6.5 hours. OH&S staff given training in fatigue management, and the use of sleep analysis features to identify workers with chronic fatigue, and possible sleep disorders. Chronically fatigued workers were given guidance from Fatigue Science experts, and encouraged to use the mobile app to improve their sleep. Workers were provided with sleep hygiene education. Workers were provided with Sleep Kits (eye masks and ear plugs). Through these actions, approximately 80% of workers increased their Alertness Scores over the final 60-days, averaging a 3% increase. Consider fatigue risk management in earliest phases of schedule design. Consider implementing a fatigue risk management system over the entire length of the project – as meaningful fatigue reduction requires long-term behaviour change. 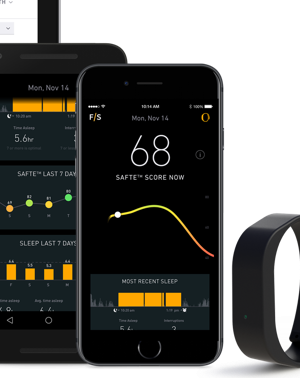 Consider equipping the entire workforce with this technology, at a minimum to help detect chronic sleep issues and possible sleep disorders. If less than the full worker complement is equipped, increase sample sizes, with a focus on night shifts. Increase communication with workers at earliest stages of implementation, for improved engagement and compliance. Continually encourage workers to use the mobile app, for effective self-management. Eric is the communications manager at Fatigue Science and has a background in marketing and business communication, with varied international experience in mining, construction and transportation. His work includes new technologies in vehicle telematics and Occupational Health and Safety.